Freebie alert! 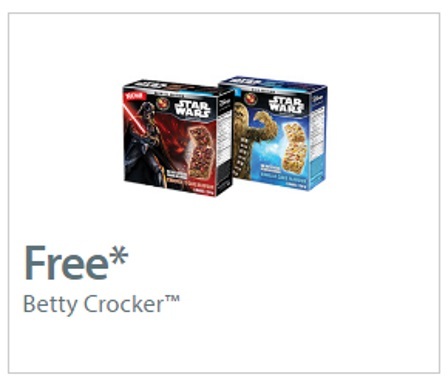 Betty Crocker has teamed up with Star Wars for a special offer. Claim this new coupon and get a Free Box of Betty Crocker Special Edition Star Wars Granola Bar (130g) with the purchase of any Betty Crocker Fruit Shapes, Fruit Gushers, Fruit Roll-Up or Dunkaroos (138-226g).